Have you ever felt like you’re on the edge of a timeless, ruleless, drug-induced and drug-fuelled, self-destructive, hedonist binge to find the Heart of the American Dream in the crazed, hazy and flashy streets of Las Vegas? Have you ever felt like testing the limits of your body, looking for the meaning of life at the bottom of a psychotic crisis created by a drug that only a chemist can pronounce and forget what it is like to go to sleep sober? The answer should, obviously, be a hard and sure ‘no’. Your parents would send you to rehab. UCC would sever ties with you forever. You would wake up one day, lost and crazed by an unknown drug waiting for a kidney or a liver or a heart in a hospital room, trying to escape the relentless arms of shame and disappointment that you are falling into with your short supply of government-issued painkillers. So, why do we keep making and loving these movies and shows that glorify, respect and create heroes out of self-harming hedonists or drug pins? Maybe, it is simply the possibility of going down that path that makes us love it: our reality of being on the edge of complete loss of control and power, our repressed freedom to go crazy and do something stupid and our deep desire to destroy something beautiful – our life and health – are hidden behind our obsession with the out-of-control, crazy and drugged anti-heroes of modern cinema. Fear and Loathing in Last Vegas, the father of Gonzo journalism (a first-person piece with no claim of objectivity) is in some ways the romantic tale of the men who say ‘no’ to life, ‘no’ to convention, happiness, sobriety, control and order to follow a life of chaos, a life antithetic to what we ‘should’ live. Hunter S. Thompson, an American legend, recorded his vague recollections of a drug binge years ago for them to be received with critical acclaim and made into a Hollywood movie consumed by masses who are simply looking for a confirmation of their free will to follow in Thomson’s footsteps – a simple reminder of the fact that we are human, and that we can. 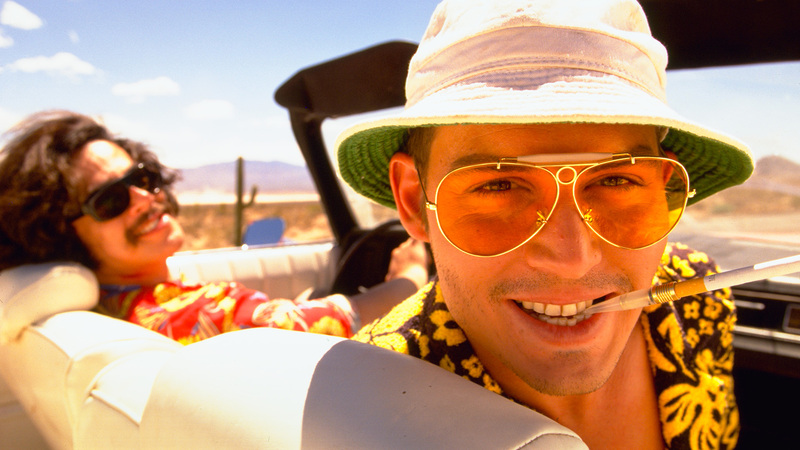 Anyways, Fear and Loathing in Las Vegas is a great movie and even a better book even beyond the drugged-up humour and colourful descriptions of LSD trips. It is the dying cry of the Sixties spilled over into the new decade, it is the scream of human freedom and power in face of the establishment, and most of all it is a frightening celebration of the possibility of hedonistic self-medication and destruction.